In the summer of 2016, within a six-week permaculture internship, these students and a handful of others joined in on a weekend aquaculture course. It was the first time I taught this course in this format, which brought a layer of excitement and challenges. My first teachings in PDC’s started (2005) with this topic so it was nice to take it to the next level. With 20 people working together we were also able to manifest some big changes to the lined pond and the stream that passes through the edge of the property. So we first went through the Friday night with a nice introduction and functional analysis to look at the aquaculture system in general. 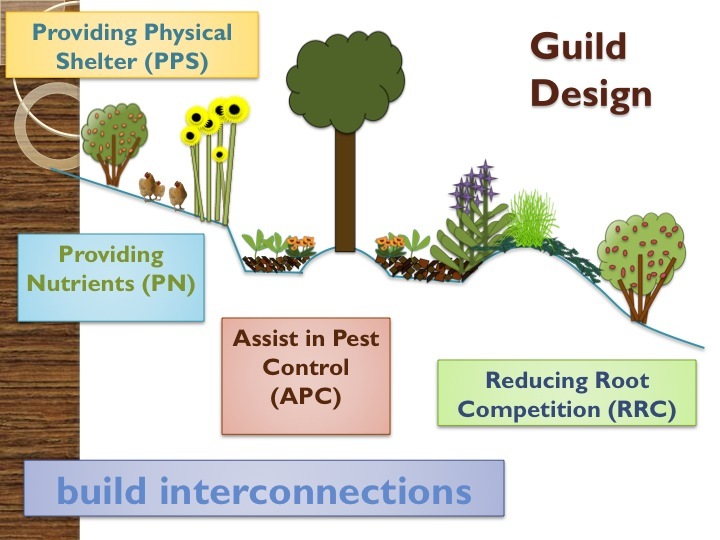 By knowing many of the inputs and outputs of the system it’s easy to make these systems seamlessly integrate into the overall permaculture landscape. From there we moved into lengthy sessions and discussions around the aquatic ecology that is behind developing a permaculture aquaculture. I really enjoyed going at a good pace with this topic and finding a way to make it more and more in-depth. It’s a lot like the soil food web but I really feel this understanding of the ecology lets people really understand the differences behind different aquacultures. From there we got out into the field and manifested some changes to the large aquaculture pond that was installed some years ago. With a dimensions of 8 m x 23 m, it is a quite large water body that really dominates a large part of the land towards the back. It’s never really thrived which we hoped to alter through a greater edge so more aquatic plants could do the filtering that the pond seems to really need. It also really needs shade as the trees on the western side have not reached any maturity so the pond roasts in full sun virtually all day long. Another complication of the project is that it was designed quite poorly for being able to incorporate edge. The back part of the pond has a nice shelf for emergents which has been inhabited quite well but is due for even more diversity. However on the other three sides they are really steep and don’t allow for much growth to occur. In a way its good cause it keeps the pond cleaner in one way but doesn’t support the overall ecology enough. Thus we filled sacks with gravel and stacked them like bricks inside the pond to build something like planting boxes. The heavy sacks were placed after a cleaning of biofilm of the pond sides happened so they wouldn’t slide so much downward. It was a big work to get them placed. After that we planted emergents that we propagated on site and those that were brought from Terra Alta. It’s tough to do the right spacing as the plants seem so little but with their 4-20 times more productive ways, it’s really easy to foresee their eventual rapid spread. Overall it was a great time getting wet and dirty to help improve the habitat. On the end of the first day we covered water quality parameters and began to get into systems examples. We picked up there Sunday morning before moving into the strategies and techniques of looking at watersheds and influencing moving bodies of water positively. Knowing where you live within a watershed is a fascinating thing and I am always surprised how disconnected people are from this. But we looked at the local one of the coop, a really important stream of the area. It in fact is one of the largest of Sintra if not the largest. It also is home to endangered fish which are under great pressure from development and agriculture. The creek itself has been channeled over the years and is extremely incised. The water height fluctuates quite a bit from winter to summer and needs more refuge’s for the fish there. Thus we added edge by doing one rock dams that ended up two high and then also a planting gabion. We created three in stream one rock dams to get the water to flow in different directions. The result was immediately seen and after a small adjustment a couple of weeks later I went back for another evaluation. Already sediment and organic matter had been trapped and was a great sign to see. When the rains pick up again in the fall I do believe they will fill even more and give them the strength to last the winter with its intense flows. Also we did a tree planting Gabion on the edge where a bit of a sandbar was already. Here we made a 1 m ring with wire to form a basket. From there we filled up the edges with sturdy sized rocks and added some more soil/ sand mix from the edge into the center. This elevated the tree planting hole where we then planted. We filled in rocks along the edge and continued to add the soil/ sand mix so there was a central column to support the growth of the native ash tree which likes to grow on the banks of the streams. Some of the largest native trees I have seen in Portugal are from this species so I look forward to seeing if it survives the first winter. To help make sure added more rocks and folded the edge of the wire basket over the top and clamped that down. I had done a similar technique at my PDC back in 2005 and it worked well. Thus I am hoping this one will as well so native seeds can be spread, so shade can be brought, and induced meandering occurs from both of these techniques. Overall it was a great course, knowledge was spread, plants were shared and many laughs were shared amongst the hard work of shifting bags, propagating and planting aquatic plantings, and moving rocks to the stream. I am glad I took the course on and am grateful for all who came and put in the hard work of learning and doing and for the coop and their hosting.